Beale's ophthalmoscope in its case. The ophthalmoscope is used for the visual examination of the interior tissues of the eye using light. Early ophthalmoscopes were introduced in Britain in the 1850s. 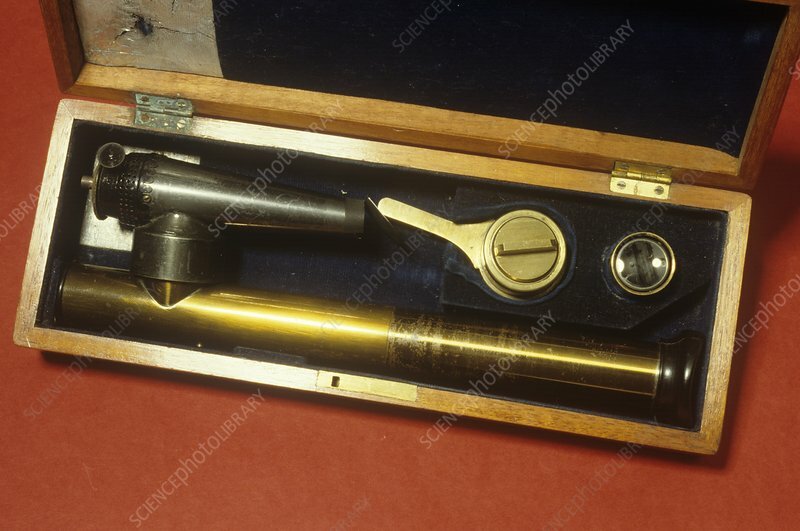 This ophthalmoscope by Lionel Beale is made from brass and dates from 1860, England.